New Sensors HD2 with 5-Axis Arm Updated Video! 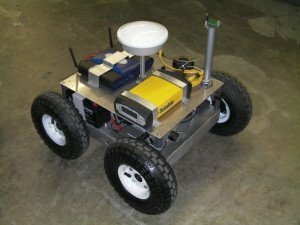 This robot is being built for Energy Solutions to drive steep terrain and scan the location using radiation detectors. The pictured wheeled robot will be replaced with the tracked robot shown in the rendering.